Background: For round 99 I thought we'd do something a bit different than usual. For this round, the concept or idea is the most important part of your entry. It's also an opportunity for you to figure out what would be the most ideal and awesome tool to make art with for yourself. So, instead of heaving just the usual single entry with a rendering, for this round you're required to come up with at least 3 different ideas or concepts. Those can be in the form of a single sketch or several sketches with a piece of text to go with it or whatever other form you wish to put it in. However, they should be developed to a point where the viewer can at least understand the idea and is able to judge it on it's worth. A single scribble is not a finished concept usually. Furthermore, you need to pick one of your concepts and work it out further into a final design and rendering/explanation of that design, much like the usual stuff you'll find in any IDW round. Post the concepts along with your final in a single image in the Finals Thread please. As you might notice, the deadline is still within a week. However, since I'm working on making IDW round 100 as special and awesome as I can (including prizes and everything!) I might be a bit flexible with this deadline since it might take me a bit more time to organise things. Anyway, be inventive and engage your own creativity! 1. Design and draw the Drawing Tool of your dreams! 2. Come up with at least 3 different ideas/concepts before you move on to your final! Last edited by yoitisi; April 18th, 2009 at 07:47 PM. Within my sketchbook, feel free to examine. For the IDW #99 - The Ultimate Drawing Tool. 1) The Duco Lightscribe Unit, a spacial tablet product that allows the user to sketch objects from freespace without the use of a tablet or paper. The user wears the wrist unit that both acts as a holder and charger for the scribe, but the image processor to transmit the live sketch to a linked computer. The user can then use the scribe to sketch objects as they see them and "draw" them as if they were to trace with a finger. The result is complied as lines and strokes on the computer screen. Think Cintiq, without a screen. You can sketch directly from your personal perspective without paper or a tablet. 2) NVision Capture Eye Camera, a image capture unit that allows the user to take photos using the blink of an eye. Light passes into the eye naturally from the motions of the iris, controlling light into the lens. 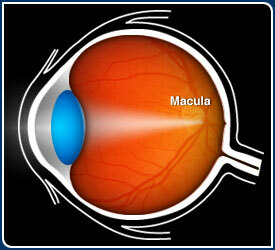 From the lens of the eye, the image is reflected, upside-down, on the macula, at the back of the eyeball, in which the retina sends the color information into the brain. In this process, the NVision sends a intermittent infrared light signal that receives light from the retina, as would the brain, and translates the returning information as the captured image. Thus, the user can capture true to life images, shot from not only the personal point-of-view, but even in the user's eyesight capabilities. To capture images, the user presses and holds a "capture" action function, then blinks to capture the last image to pass into the eye. The blink action triggers the unit to capture the last image transmission from the eye and then complies the data into image storage onto the processor that fits onto the eye socket. Think hyper resolution digital camera that uses your eye as the lens and shutter. Last edited by f1guremeout; April 26th, 2009 at 06:12 PM. Three ideas: a multi-brush which can replicate any medium or colour or texture for traditional artwork. A wierd 3D hologram thing for 2d digital art that can be manipulated with ones bare hands and has all the effects of your favorite tablet. And last but not least is a mind reader, of a sort, that projects imaginings onto the screen/data-slate. Dang you just took my exact first three ideas. Oh well, i'd better change mine a bit then. I think the sketch speaks for itself. I tried to make something a bit more technical as this is "Industrial Design" of the week. oops! sorry. I really like your second one that manipulates real matter. I think the ultimate drawing tool is something that I can take with me anywhere and have it function the same and be able to produce the same results as at home. Just as portable, durable, and easy to access as a sketchbook, but just as powerful and with the capabilities of a home computer. No compromises. I want the equivalent of at least a 22" inch monitor and then I want to chuck it in my bag like it was a moleskin before hopping on my bike, wrecking and finding that my precious is OK. The ultimate drawing tool . . . but at what cost?!?! So i can be a bit more free thinking" noted. thanks! Now is sketched around a bit more. First i thought of a "holographic" solution, since then the transmitter could be small and easy to transport. Then i thought, that i dont really need anything fancy with alot of features to make art. What i really could use when i draw, carve, sculpture, paint or whatever, is more time, the proper mood, and an easy changable all round tool. This is my first idea of what that tool might look like. Its silent around here... Enjoy this here, its cause of this i didnt finish my homework for tommorow. Still could use some more time like my last entry, but this is just a bit more finished. I think maybe a bit more texture in the armour to finish it off, but that is my only crit. oh sorry just read it over and there is a couple of errors in the text. Thanks! I dont know if it can help you, but i started out with brainstorming what i was annoyed with, when painting or sculpturing. Not enoughe time, insuficient tools, wrong mood, etc etc. Then i designed a suit that could take care of those problems and drew it. Yeah i noticed the typing errors, ill fix them before the final post. Ill throw on some more texture - thanks! It is quiet around here isn't it! Ah I think I have a great idea but I just noticed it and only 2 days left argh. I will see. First is the spray bomb. Basically, you insert some spray cans, download a pattern into the gun, aim it at your neighbors house, pull the trigger and it throws up your awesomeness. Not very realistic. The second is basically a portable tablet and digital painting. I tried to condense the tools into the most compact essentials. So, the fingertip covers function with laser tracking on any surface and the surfaces of the devices are pressure sensitive. The sweet Jordi visor is the CPU and monitor. I imagine the whole kit would fit into sunglasses case and work on any surface, horizontal or vertical. Well, it's time well and truely PAST the time to start a final image, but I still haven't pinned down which of the three I want to use. Anyone have a preference which? The finger implants and paint canon were meant to be an effort to try something "imaginative," but my brain has a hard time accepting the impracticality of them. Just a heads up for all those still struggling to get things done in time, this round will at least have another 20 hours or so to go, since I've got to sleep and work and stuff. nice I'm still on it yeah. at least now I can fancy the final up a bit more! hmm... we already have ultimate drawing tools, don't we? It started with mud and charcoal, to lead pencil, graphite pencil, charcoal is still around.. now it's mostly manufactured, and we even have mechanical pencils. And, art has gone digital. We already have the tools we need to do fine work. All we need is a desire to do it. So, would it be possible to design a desire to draw? Like an abstract painting, leading upwards, of fiery colours representing passionate motivation? can we design that? Please? Sorry about the mix up I must have been quite tired when I wrote it. Majenkus : Good to see the paint gun made it in the final! @yoitisi - I think it was the better choice. @Max Challie - The thread is still open! You can do it! @f1guremeout - Sketches are pro. You might want to consider insuring your hand . . . Thanks Majenkus, but i admire all of you guys' digital abilities. I'm old school I prefer the good ol' sketching pencils, marker, and chalk. I rarely use digital techniques. Hopefully, I can stick around long enough this time that I can get into digital more. I learn quickly too. Thanks. More power to those who finished and down for another round. Majenkus : cheers man just wish i could have rendered it out a bit better for my final, I need more practice with photoshop! Oh oh, I forgot to give you guys something. Hope that these techniques benefit you all. Last edited by f1guremeout; April 28th, 2009 at 02:41 PM. Ahem..high time I close this round isn't it? Poll will be up soon. IDW round 100 will start soon! !